Ladera Resort in St Lucia is the epitome of luxurious accommodation, tailored to couples that are looking to escape the outside world and immerse themselves in the outstanding beauty of St. Lucia. Located near Soufriere and a stone’s throw from the amazing twin Pitons you will not be disappointed by the phenomenal views that will greet you on arriving. All the rooms at the Ladera resort in St Lucia are designed to make the most of the beautiful nature of the island and boast amazing open-air living accommodation. The Paradise Ridge suites offer amazing panoramic views of the Pitons and the Caribbean Sea. They are also designed with a rainforest theme to help further complement the exceptional nature of the island. These suites also come with a private heated pool with a romantic swing where you can connect to the beauty of the island. The largest suite on offer is the Heritage Suite which is set upon two levels both with the amazing open-air experience with a large living room and separate dining room on the first level and a master bedroom with a four poster king size bed located on the second level. This suite also has its own heated swimming pool where you can enjoy the mesmerizing views. The paradise ridge suites at the Ladera Resort in St Lucia come with some amazing features including airport transfer within a luxury car, full breakfast, butler service, in-room stocked minibar, priority seating at the Dasheene, complimentary Wi-Fi, Nespresso coffee machines and extra large bathroom and shower including Molton Brown bath products and cozy his and hers robes. All of this coupled with the four poster king size bed and private heated pool you wouldn’t have to leave your room to experience complete relaxation. If you do choose to venture from your luxury suite, the resort will keep delivering amazing services including dining, spa experiences, and tailored activities. The on-site Dasheem dining experiences include the wine cellar experience where you can taste wines from all over the world with 500 different bottles to choose from. The Dasheem also has an amazing dining experience where you can book your own private chef who will create culinary magic in the intimate and private atmosphere of the Dasheeme wine cellar. The spa located within the resort will take you to a state of relaxation you wouldn’t think possible. Nestled among majestic mountain and lush rainforest views there is a range of treatments available to rejuvenate your energy. In-room massages are also available allowing an even more private experience. The resort also hosts a range of activities to enhance your stay even more. These activities include the chef’s cooking demonstrations and bartending classes, where you learn how the resorts culinary team create an amazing Caribbean dish and delicious tropical drinks. You can get involved in the actual cooking process and is something that you will be able to take home and recreate in your own kitchen. There is also a romantic horseback riding session along the beach with a picnic lunch available. Finally, Ladera Resort being named one of Conde Nast Travellers 16 most romantic places to stay, it’s no wonder why this place is a couple heaven and has special wedding, honeymoon and anniversary packages because of this. With these including couples room massages, complimentary bottle of wine, round-trip luxury airport transfers and a welcome arrival with chocolate covered fruits and a glass of bubbly they are a great way to start off your adventure together in St. Lucia. If you want to check out rates for Ladera Resort in St Lucia, you can check it out here and book your vacation. We hope enjoyed our review of the Ladera Resort in St Lucia. If you did, be sure to pin it here. wow this place looks amazing! Not only does it seem like an idyllic location for a vacation but adults only! Heck yes!!! Sign me up! These photos are so beautiful that it doesn’t even look real. I would love to go there one day! Wow I would really like to stay at this property someday just for that view. Amazing. So I now have another country added to my list just for you. Thanks for bringing this to my notice. Sign us up! Great review, we will definitely be looking into it. This resort looks so beautiful. I would love to holiday here. It looks out of this world. the resort looks stunning and luxe i wish i new about it when i vivsted srilanka a few years ago! OK, take me there now! This is truly such a stunning place!!! Looks so relaxing and just like heaven. I want to go there! Ladera Resort looks like a dream! It’s so luxurious! With such delicious food, spa, and pools to soak in it would indeed need so much effort to just step out of the resort and explore the island. O wow this place looks absolutely amazing! 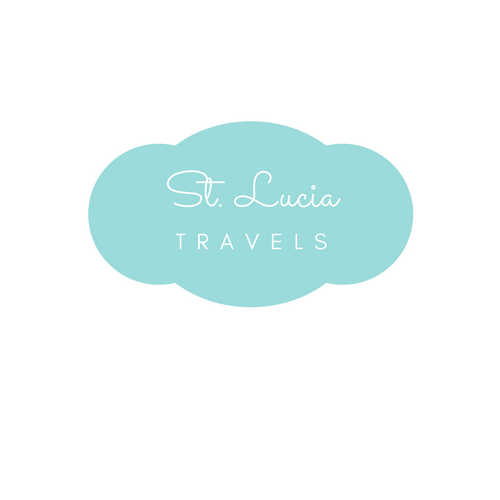 We visited St Lucia when we were on a cruise and said we would love to go back one day! This place is now on our list thanks!! It looks like such a beautiful resort with amazing reviews. I’ve been to St Lucia a couple of times but that was when I was little so I’d love to visit again. It looks beautiful and I am soooo visiting it.. I love this post. I’ve always wanted to go on a trip to St Lucia. Im putting this on my bucket list. Thank you for sharing. This post makes me want to pack up and leave! Love the pictures as well. I just wish I could actually make a trip to St. Lucia happen. Thanks for sharing this post! The place looks absolutely wonderful and your post makes me want to go there immediately. Beautiful photos! OMG this place looks like heaven on earth! The views are stunning and the suite looked incredible as well! I’ve just come back from holiday and your making me want to book another! These views are breathtaking! This is going on my bucket list! wow, this is a great place to spend one’s summer. Green mountains and beaches give st Lucia a paradise look. I wish I could be there. You guys are lucky to have these kinds of experience. Thanks for the post and photos are absolutely attention-grabbing.